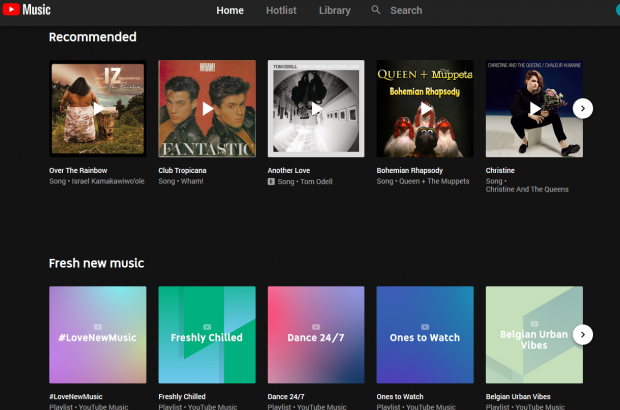 Google has released its YouTube Music streaming service in Belgium. The technology giant had announced the release of the service last May, and 17 countries are already on board. Google’s move puts in in direct competition with Apple Music and Spotify, the major global players in on-demand music streaming and downloading. Spotify hit 83 million paying customers this year, while Apple Music broke the 50 million mark. Google had a hard time ignoring the fast-growing trend of music consumers turning to streaming services. Google already had a music site, Google Play Music, but YouTube Music will go a step further by integrating users’ YouTube accounts into the app. It can also use its Google-generated statistics on users to, to use a time-honoured phrase, ‘enhance the experience’. This includes knowing the location of your smartphone and adapting the options. “We can offer music choices that fit the user at any given time,” Candace Morrissey of YouTube told VRT. “Say that you’re at home, it can offer soothing tunes. If you’re working out, it will suggest up-tempo numbers.” This is something that Spotify and Apple Music do not do, she emphasised. And of course, being YouTube, it has all the videos, too, complete with search function. Type in ‘That song from Interstellar,’ and you’ll find a number of other suggestions penned by the composer of the soundtrack, in this case Hans Zimmer. YouTube Music will also offer vlogs, reviews and own content. Next to Belgium, YouTube Music is launching today in the Netherlands, Luxembourg and Denmark. Like the other big streaming sites, the app comes in two versions: Free, with ads, and Premium, without. Which will automatically deduct the amount from your metro pcs payment before the five days to make your payment.